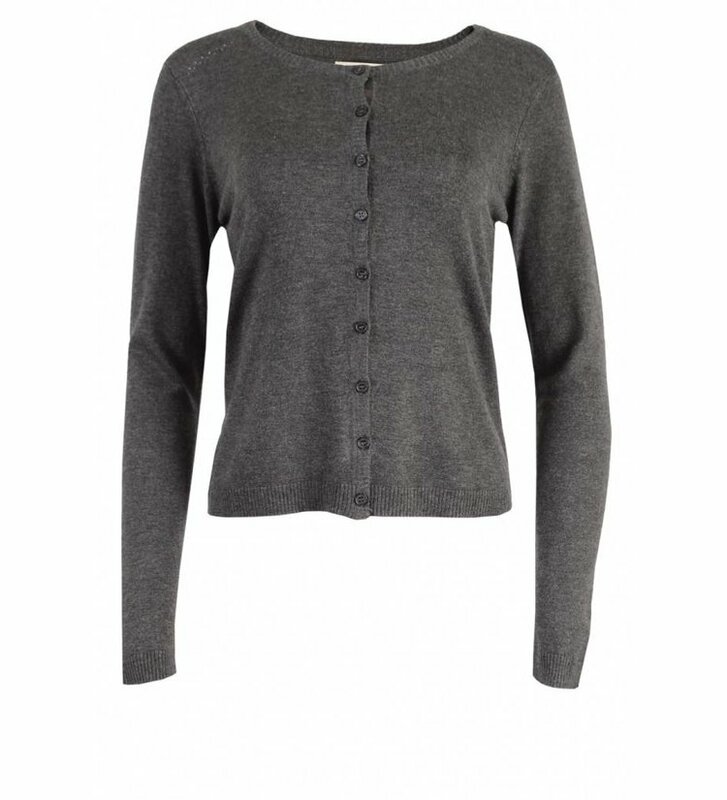 Fine knitted cardigan New Laura from Minus. 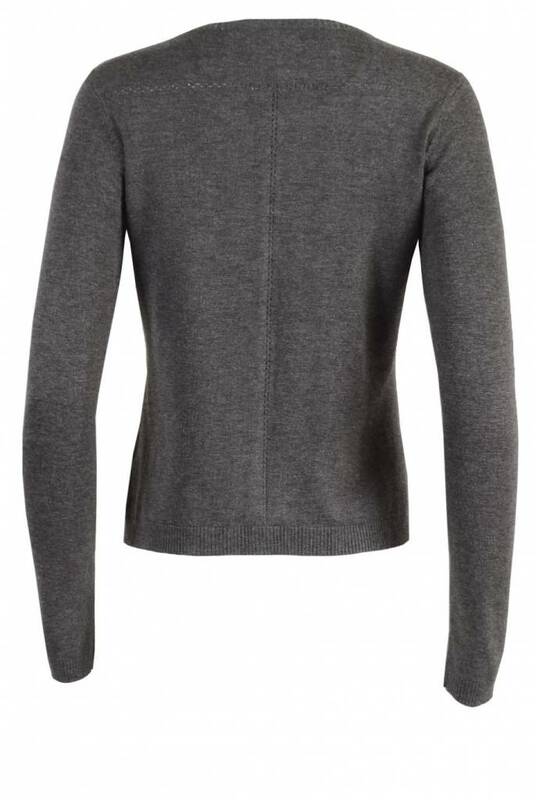 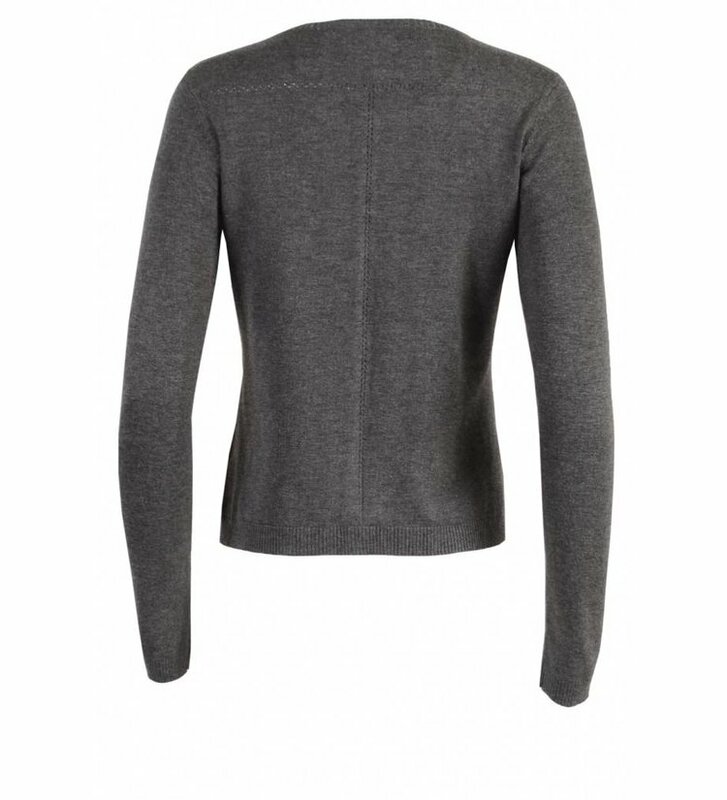 The New Laura in Dark grey Melange has a round neck, a button fastening in front and a straight fit. 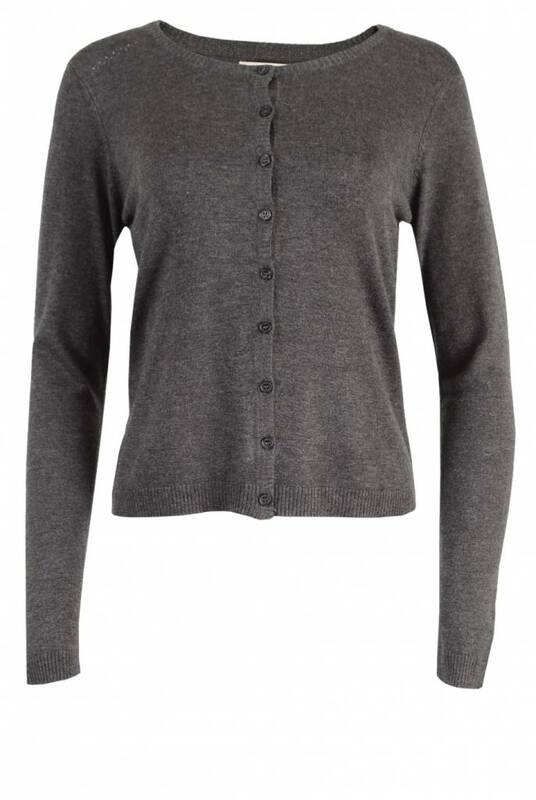 The cardigan has a ribbed neck, cuffs and hem. 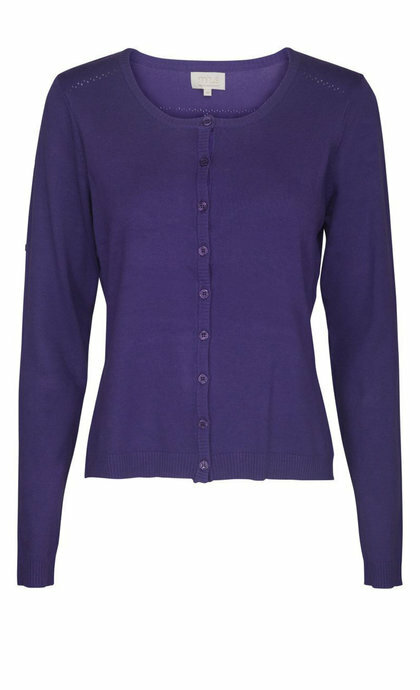 The New Laura is nicely finished and has a sophisticated look.